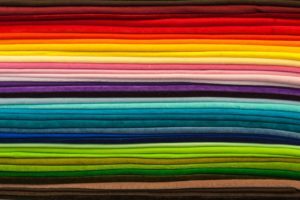 Previously we talked about choosing fabric sourcing vendors and determining your fabric cost so you can create a realistic fabric budget that will optimize profit. Now it is time to start establishing relationships with fabric vendors and finding the one that will work best with your needs. You have your budget, you know what kind of trims and fasteners you need, and you have settled on a vendor. What now? When it comes to fabric sourcing, clear communication is key to getting what you actually want. Your vendor needs to be aware of your expectations ahead of time. The more details they know, the easier the entire experience will be for all parties involved. This may seem like a no-brainer, but you would be surprised how often the manufacturing process is thrown off because designers failed to check on the lead time of their fabric. Do they have an abundance of the fabric in stock? Do they have a limited supply and need to order more? If you need more, how long will it take to get it? What is the lowest number of yards you can order? It is best to look for a vendor with a one roll minimum. Don’t forget to factor in color. Can you order a roll of red, a roll of blue, and a roll of yellow? MOQs vary throughout the industry based on the individual factories business model. How will this affect your production minimum? At Indie Source, we encourage a 300 piece minimum. Otherwise, there simply isn’t a profit margin and we want you to make money. Lock your vendor into a price per yard. Make it clear what you intend to pay and get it in writing or in an email. You don’t want to set yourself up for a situation where they try to charge more later. Also, be aware that a sample yardage is going to cost more. Cutting a sample takes time and is a bit of an inconvenience. Not all fabrics are created equal. You need to know the width of the fabric you intend to order and use. A wider fabric will produce a higher yield than a more narrow version. Take this into consideration when figuring your yield and determining how many yards or rolls you will actually need. Fabric weights can be a little confusing in the beginning and you are not going to become an expert overnight. But that doesn’t mean you can’t get a good idea of the weight you want to work with. Fabric weight is typically measured in GSM or oz. Both are pretty standard in the industry. There is a lot of information out there about the suggested weights for different types of clothing. Vendors know this can be tricky, so if you don’t know the exact weight of the fabric you want, bring in a sample of a similar GSM. How much of the fabric do they have in stock and how often is it available? Find out not only how much they have in their warehouse, but how often they get more in. You don’t want the production of your line to be slowed down because it turns out the fabric you started using is now out of stock and they won’t be ordering more for several weeks. Does that perfect fabric have an even more perfect price tag? It may be because it is actually a closeout. It may be tempting to just on that closeout price, but it is not the best idea when you are trying to produce an entire line. When your line is in production you want to know that the fabric you have chosen is readily available whenever you run out. Verify with your vendor that it is in stock and not discontinued. How Does Your Fabric Vendor Want to be Paid? How do they prefer to be paid for the fabric? Do they prefer to invoice you and you send them a check later? Pay up front with a credit card? How do they do business? You’d be surprised how much payment preferences vary from vendor to vendor. Find out up front to avoid complications later.